Police in Edinburgh have issued an urgent appeal for witnesses following an attempted murder in the Bingham area. Officers are especially keen to trace a male and female witness who may be able to provide information. 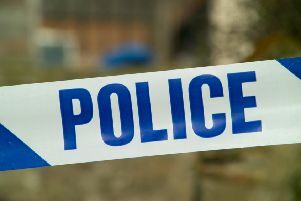 At around 10.50am on Sunday, March 3 a 35-year-old man attacked near to the Bingham Tunnel, leaving him with various injuries. He was taken to the Royal Infirmary of Edinburgh for treatment. A 44-year-old man has been arrested and charged in connection with this incident and made a first appearance at Edinburgh Sheriff Court on Tuesday, March 5. Officers believe a man who was walking from Niddrie towards Bingham, through Bingham Tunnel, between 10.40am and 10.55am, may have passed the victim just prior to the assault and are keen to trace this individual to assist with their inquiries. He is described as white with dark hair and wearing a dark-coloured top. After the incident took place, the victim walked from the Bingham Tunnel, to the top of Duddingston Row at the bus terminus, where he passed a woman who may have seen his injuries. There is no further description of this witness. Detective Sergeant Clark Martin from Gayfield CID said: “The attack on the victim took place a very short time after the male witness passed him at the Bingham Tunnel and this person may have seen or heard something that is of use to our investigation. “If you believe you are the male in question, then please contact us immediately. “Likewise, the female witness saw the victim after the attack and may also be able to provide useful information.